The current rules for determining whether an individual is UK tax resident or not are particularly complex and open to different interpretations. HMRC themselves have often stated that their own guideline books, HMRC6 and IR20, are to be used only as a general outline, and that the information laid out within is not binding, although this is due to be reviewed by the Supreme Court. Recently, the UK government has begun plans to create a definitive definition of residence, which will come into effect in April 2012. This news has been met with approval from people who have struggled to get around the numerous sanctions and loopholes that are employed when defining one’s residence, but time will disclose whether the results will put a clear definition in place. The depth of confusion that HMRC’s rules can plunge individuals and courts into has again been underlined by a recent case. When an individual leaves the UK to live and work abroad HMRC in essence sees this as a clear break from the UK, and thus they will be viewed as a non-UK resident from the day the leave. However this is dependent on your employment status, specifically as long as your overseas employment is for the course of at least one UK tax year. There are also sanctions on the number of days you are allowed to spend back in the UK, no more than 183 days in one tax year, or 91 days averaged over four years. Before, even if you returned to the UK to work, as long as you kept within the allowed days you would not face any scrutiny from HMRC. However recent reports suggested that HMRC have now put a 10-day limit on the amount of time UK non residents can spend working in the UK before their residency status comes under question. These rules instantly came under fire with industry figures, expats and commentators’ claiming it was far too low a period of time. Upon discovering the reports, and the reactions, HMRC stated that the news was in fact incorrect, and that again the 10-day rule was intended simply as guidance for people who are intending to return to the UK to work. Following this statement HMRC began work to revise the HMRC6 booklet, and due to the press attention they allowed the Institute of Chartered Accountants in England and Wales to publish the draft on “non-residence and full time work abroad”. The draft accepts that people who move away from the UK may still have to return from time to time for business purposes, if this is the case then the individual will be expected to show that work in the UK will not stop the overseas work from falling into the full time bracket. However, once again HMRC says that ultimately the decision may come down to “facts and circumstances relevant to each individual”. So if you spend less than 10 days working in the UK then this should usually be enough to satisfy HMRC, but again the proviso “whether an individual is working full time abroad will depend on their circumstances,” was added. These statements and claims do not clear up the matter completely at all. While there is a clearer figure on the amount of days you can spend working back in the UK safely, 10 days, what happens if you exceed the 10 days is unclear, and decisions will be made on an individual basis. There are various other factors HMRC will look at when seeking to determine residency status. When travelling abroad to work the most important thing is to have secured full time employment before you depart, full-time being no less than 35 hours per week, and for the position to last for at least one complete UK tax year. In this case you will be seen as a non-resident from the day your overseas job begins. Bear in mind that’s one full tax year, so if you began work overseas on the 10th April 2011, then you will have to remain employed abroad till at least 6th April 2013, because your first full tax year would have commenced on 6th April 2012. To prove your employment you will be expected to show evidence the likes of work contracts, source of employment, permits and such. 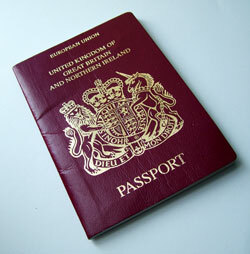 Under the bracket of ‘full time work abroad’ you will be allowed to keep accommodation back home and it will be acceptable for your spouse and children to remain in the UK, as long as your visits back are restricted to fewer than 183 days in one tax year or fewer than an average of 91 days over four years. To aid your cause in convincing the taxman that you are a non-resident, you should keep a detailed diary of your international movements, documenting all trips to the UK along with your reasons for return. These guidelines are for people leaving the UK to work, if you are leaving to retire then different rules come into play. In that case it is recommended that you make a complete break from the UK. You should sell off any properties and assets, and also take with you any immediate family. As explained by HMRC, different cases often encounter different results, and it can come down to individual circumstances even if you felt you have complied with all regulations. For this reason it’s advised that you stick to the letter of the law as closely as possible.